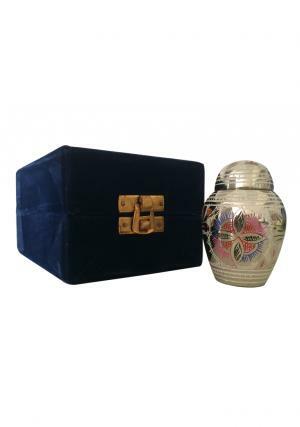 Keepsake urns are used by a lot of people for distributing the ashes of a loved one to different members of the family. Some people may like to preserve a small quantity of the ashes after the main ashes have been distributed. 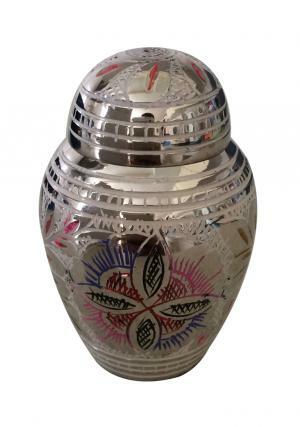 This urn is ideal for doing such a special thing as a dedication to the person who has passed on. 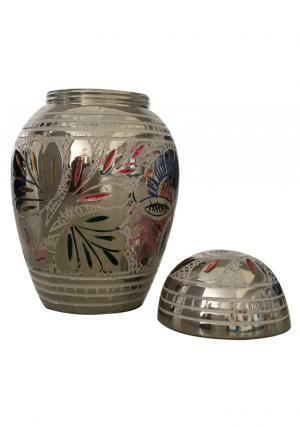 Engraved patterns of flowers surround the Dome Top Flower Keepsake urn which is made of with an enamel finish. 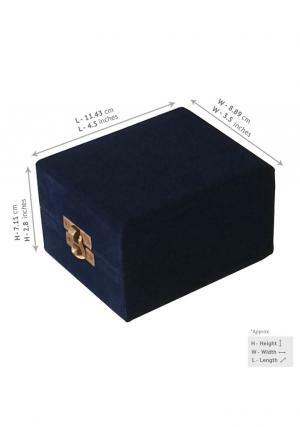 The urn is just 2.5 inches high and weighs 270 grams and has a threaded lid which can be easily opened when required, or sealed by request. 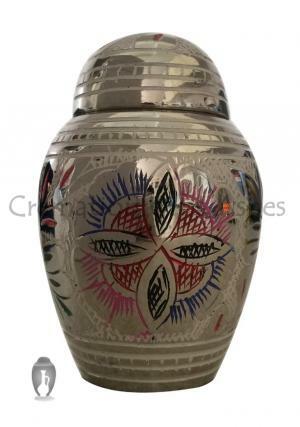 Bands engraved with intricate patterns surround the top and bottom of this urn. 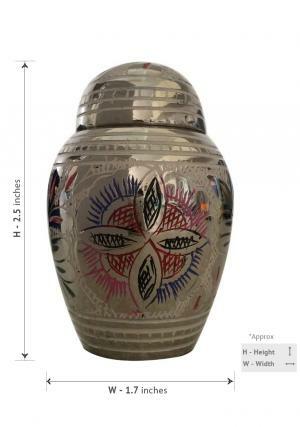 All of our customers get 100% satisfaction with a money-back reassurance with the return of unused urns back to us. We do not have any shipping charges for delivery of our products and all payments are secure.